I’m happy to announce a new two-factor provider for your Nextcloud: the Notifications Provider. This provider utilizes your existing logged in devices to grant new devices access to your Nextcloud. The flow is simple. You enable the provider in your personal security settings. Then the next time you log in you can chose to authenticate using a device that is already logged in to your account. You can approve or cancel the login from any of your devices. If you approved the login then you will be automatically logged in. You can grab the app from the app store. And your feedback, suggestions or pull requests are welcome on github. A Content Security Policy (CSP) can be used to protect against Cross Site Scripting (XSS) attacks. This is done by having the server tell the browser what resources (executable script, images, etc) can be loaded from where. All this is told to the browser via a header, so if the actual page tries to do something it is not allowed the browser will block it. At Nextcloud we have deployed a CSP for a while now that limited the resources to be loaded mainly to the domain your Nextcloud is running on. So by default it is not possible to load a random script from somewhere on the web. Of course I would not be writing this if we did not change anything about this behavior. Which brings me to Nextcloud 15 where we will disallow unsafe-eval by default in our CSP. This means that your Nextcloud will, by default, not permit execution of eval. Which results in a safer Nextcloud. We have tried to make the transition to a stricter CSP as smooth as possible. However it could be that if you have written a Nextcloud app that you need to take action. We are actively checking applications if they still work as expected and submitting pull requests. But of course help is appreciated. 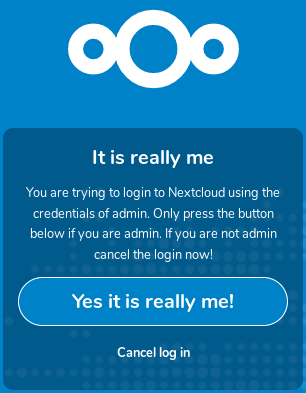 The easiest way to verify is to download the latest Nextcloud daily and try out your app. Be sure to have your developer tools open and keep an eye on the console. If the CSP is violated a message will be shown there. If you need help feel free to mention me (@rullzer) on github or drop by in #nextcloud-dev on Freenode. The app passwords have been available in Nextcloud for some time now. 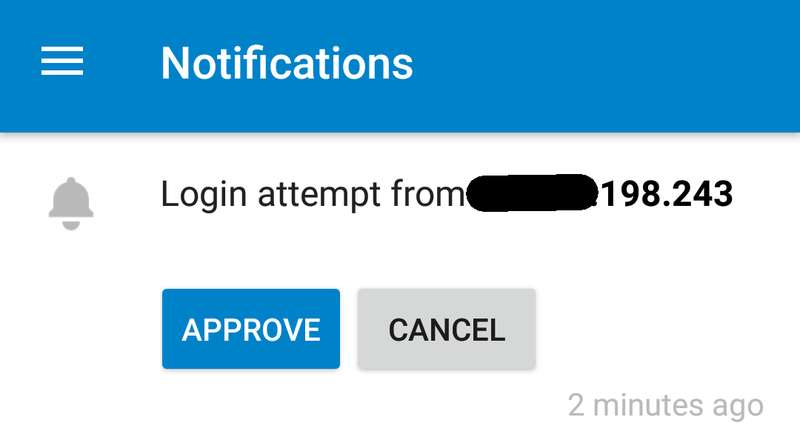 They were first introduced when we added second factor authentication to Nextcloud, as you still want to have a way to connect your mobile and desktop clients to your account. In the early days this was all manual labor. In the last year we have added support for app passwords to our mobile clients and the desktop client is following soon. This means that you authenticate when you setup your account using a normal login (with second factor authentication if required). A long random (72 character) app password is generated for you. App passwords have several advantages. For example your real password is never stored on your devices. 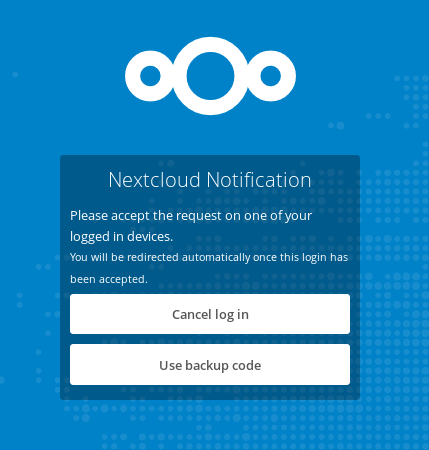 Also you can revoke access to a specific device in your security settings of your Nextcloud, blocking your lost phone from accessing your data. All pretty sweet. Now on to explaining how app passwords used to work. The main draw back of our first implementation is that when a user changed their password this means that all their app passwords are invalid. This is caused by the password being encrypted by the app password and only the hash being stored in the database. So to overcome this issue we needed to find a solution to update the encrypted password without knowing the actual app passwords. The answer to this is public key cryptography. Now the flow when your login with (userName, appPassword) changes slightly. Now to update your password we simply fetch all the app passwords for a user. And for each app password encrypt the new password with their public key. Note: we don’t actually get the app passwords form the database just the rows with hashed app passwords. However, for this step we don’t rely on the actual app password. To make things as smooth as possible we made sure that migration to the new app passwords is transparent to the user. Your old app passwords will not be invalidated. Instead the first time you use them they will automatically be converted. So from a user perspective nothing changes. We feel that this improvement brings app passwords to a new level. Not having to re-authenticate your devices when you change your password makes the user experience a lot better. Of course there is room for improvement. Currently the app passwords are only updated when you use our default user back-end. If you use for example LDAP then Nextcloud never gets told the new password. We are already working on improving this in Nextcloud 15! So stay tuned! A few weeks ago I was chatting with Tobias one of the Android engineers at Nextcloud. He mentioned how he oftened wanted to just share a file quickly with somebody or just share some text. Basically your own privately hosted pastebin. This got me thinking about the amount of files that are stored on my Nextcloud that are just sitting there because I wanted to quickly share them with somebody but I forgot to delete them afterwrads. So long story short I decided to spend some time to write a little Nextcloud app that allows you to do this. So I\’m excited to introduce DropIt to the world. It is available in the app store for Nextcloud 13! The app ties together a lot of functionality already available in Nextcloud. There is a simple interface to upload your files or text (any help on the UI/UX side is appreciated!). And a cron job that deletes files older than 2 weeks. So go check it out. And I\’m looking forward to all your pull requests to the github repository. Already back in October of 2016 probonopd made an AppImage for the Nextcloud Desktop Client. I must admit that back then I did not immediately try it out since I just run the client from source. However, this has changed over the last few weeks as we wanted to start providing binary packages for Linux as well. When I was reading up on AppImage I got more excited. And since there already was a script to generate the AppImage I quickly built my very first AppImage. So I\’m proud to present to you the Nextcloud Desktop Client AppImage. This is an AppImage of the latest beta. If you made it this far! Congratulations. You are now running the Nextcloud desktop client from the AppImage! If you store images on your Nextcloud there is a big change that you have previews enabled. Previews are used for the tiny thumbnails in the file list but also for scaled down images in gallery for example. Because nobody wants transfer their 30 mega pixel photos all the time. In Nextcloud 11 we have several nice improvements for you regarding previews. Including an shiny new app to pre-generate previews! First of all we changed the way previews are served to the end user. If a preview was generated we would first construct an image object in memory and then serve the data from that image to the user. This created a lot of overhead. So the first step is skipping the image parsing in memory. If a preview is created once we just serve the data from that file. This saves precious RAM and CPU cycles. By default we cache previews for 24 hours. However, after those 24 hours we would just request the same preview object again. While for a majority of the preview files nothing would have changed at all. We now actually look at the headers a client sends us and if it is the same file (etag/last modified date). We just return the good old 304 status code. To indicate nothing has changed. We can do this by just accessing the database. So no need to go to the slow storage unless we have to actually serve preview data. Let say you request a preview of an image of 250 by 250. But the next time you request an image of 252 by 252. Now it makes no sense to generate a new preview. We should serve similar preview sizes as the same file. There was already some code that handled this but we upgraded it in Nextcloud 11. The algorithm we use now rounds your image up to the nearest power of 2. So you get at least an image of the size you requested but it might be a bit bigger. But your browser is also very good at resizing it a bit for you then. This makes sure that your disk does not fill up with 10K previews per file and that the server can often just serve the same file. As of Nextcloud 11 we share previews. Which means that we have a single location to store previews. This solves the problems Alice and Bob had as described above. The downside of the new preview approach is that we need to drop all the existing previews. Because of certain bugs in the old preview system just moving stuff over is not possible. To over come this we have been working on an app. This app allows you to do a one time run to generate all the previews. However the app is capable of doing more. It will listen to writes and keep a list of all those files. Then once you run a command it will start requesting previews for all those files. This can make your overall experience more smooth. That way you can lets your server generate previews during the night for example. Get the app in the appstore. As many of you probably know PHP 7.1 is planned for release at the end of November. As a preparation for this we are already running our test suite against the PHP 7.1 RC1. And we feel confident that Nextcloud 11 will run smoothly on the PHP 7.1 final for all you bleeding-edge sysadmins out there! But if you can’t wait try out the daily. At the same time we are adding PHP 7.1 to our support matrix we are also saying goodbye to some retired PHP versions. Nextcloud 11 will no longer support PHP 5.4 and 5.5. As you can see in the support matrix both are no longer supported by upstream PHP. This change in supported PHP versions allows us to start updating several third party dependencies. Which bring bugfixes and (security) improvements. At the same time we could update PHPUnit to take advantage of improvements there. All in all we feel these changes will allow us to improve our codebase and move Nextcloud forward. Happy hacking! Nextcloud exposes some APIs to the outside works over HTTP. There is of cou rse our webdav endpoint. That, among other things, allows you to retrieve and store your files or update your calendar. Probably our second most used endpoint is the OCS Share API. This is used by a lot of clients that connect to your Nextcloud to share files. As the name suggest this is an OCS (Open-Collaboration-Services) API of which we have a few. The OCS API has been around for quite some time now. And it was in need for some love. Which is why I am glad to announce that starting from Nextcloud 11 you can build OCS API endpoints using our AppFramework. Automatic dependency injection: This makes writing code much more fun. Your Controllers just specify that is required and most of the time the AppFramework will figure out how and where to get the dependencies. Security by default: By default, a lot of security hardenings are in place. You can opt out of some (like for public routes). But this makes it harder to mess up. No more static classes: This will make it easier and faster to test your classes. And of course this also means your API will directly benefit from enhancements we make in the AppFramework. We will of course still support the current approach to create OCS API endpoints for the foreseeable future. Feel free to reach out to us on help.nextcloud.com if you need help. ownCloud is not a backup! I see a lot of people are setting up ownCloud these days that do not think about what it really means to do their own data management. A lot of people have ownCloud running on a server somewhere and have the desktop sync client running on their laptop. They think their data is safe because if their laptop gets stolen or crashes the data is still on the server. Or that if the server crashes the data is still on the laptop. This list is not complete but it does show the most common problems. For example: if you delete a file by mistake on your laptop the file will also be removed from your ownCloud. If you only notice your mistake after a month it is very likely that your systems trashbin (if you have any) and the ownCloud trashbin have already been emptied. And you will have no way of restoring the file. So should I dump ownCloud? Absolutely not! Since ownCloud allows you to store all your files in 1 place it actually intergrates very nicely with a backup system. Just setup a (proper) backup system on the server that is running your ownCloud! There is plenty of material available on how to (properly) setup a backup system. So the homework of today is to make sure that a proper backup system is in place. Once that is done tell all the people that you know that run ownCloud to do the same. The problem described here is not unique to ownCloud. If your cloud storage provider does not create backups for you then the only thing you have is a mirror.